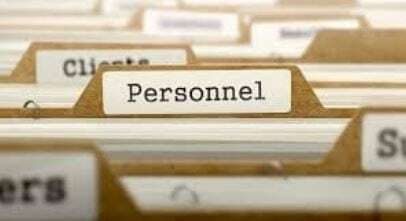 Every employer maintains a personnel file for each employee that includes pertinent and private information. A personnel file usually contains information about a staff member’s employment history with details about compensation, disciplinary actions, etc. Within each personnel file, there should be two sections – one being a general file and the other being a confidential file. The general personnel file should contain documents related to selection, hiring and employment (e.g., job descriptions, job advertisements, applications/resumes, references, disciplinary documents). The confidential personnel files contain all the documents that generally only the HR department would have access to, like medical documents, background check records, drug testing records and investigation documents. Just as the file’s name suggests, this file is confidential and should be privy to individuals with a professionally legitimate “need-to-know” basis. There are times when a manager who is a subordinate to an HR Director or CEO may have access to some of the information in a confidential file. For an example, a hiring manager would be notified when an applicant passes/fails a drug test, but they would not be granted access to the document itself because of the confidential data it may contain (e.g., the drug test result document may contain the individual’s social security number and generally managers do not need, nor should they have access to social security numbers). Outside of the file folders listed there are other documents like I-9’s and EE0-1 forms that should be maintained in a separate binder away from personnel files. Just like the general and confidential files, these documents should be kept under lock and key with limited access. Employees have the right to access their personnel files and it is good practice for them do so periodically. Some companies choose a formal request method with a trail of paperwork and others allow informal requests via email. Regardless of the method, each company should be sure to create a solid policy and procedure that is clearly communicated to employees and managers. Another good practice is to maintain Personnel Files Access logs for each file. To ensure accountability and accurate record-keeping, individuals should be granted access through a Single Sign-On (SSO) process. Sometimes employees take documents or make changes to documents without fully understanding that those actions may jeopardize the company; since the HR department is responsible for maintaining compliance standards, a representative from the department should always chaperone these access visits. As always, HRinMotion, LLC is here to assist you with your policy and procedural needs. Give us a call at 240-838-7142 or email us at info@hrinmotionllc.com to schedule your consultation.